Another week, another room down! 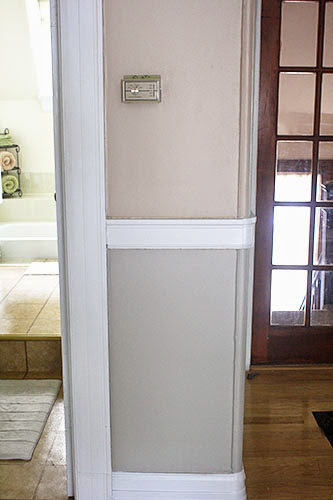 No more partially-painted foyer! If it seems like it’s taking me forever to paint the apartment, well, it is. Gestating another whole human being is tiresome, y’all, and I just can’t physically bring myself to paint most weekday evenings after work. I get a lot done on weekends, though! 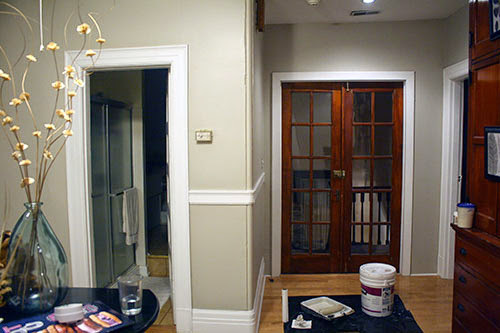 The foyer was the easiest room to paint thus far and almost certainly will be overall. There wasn’t a lot of furniture to move or angled ceilings to deal with or outlet covers to remove (the single upside to the devastatingly sparse outlets in this old apartment). Just a heck of a lot of cutting in, because nearly all the rooms in the house converge into this one. Six, count ’em, six door frames! For whatever reason, the paint job in this room was holding up the worst of all the rooms in this place. 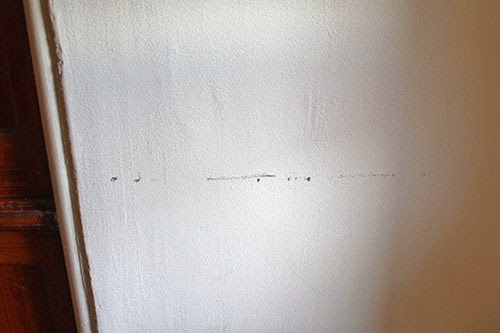 We’re really not that tough on walls – at least, we never scuffed the paint in our old place – and yet here, just touching the walls would remove the paint. I know the whole apartment was painted not long before we moved in (see some of the before color here); perhaps it was done hastily, and that’s why just moving a chair along a wall did this to the paint? That’s not a black scuff, that is the previous coat of navy blue paint showing through! 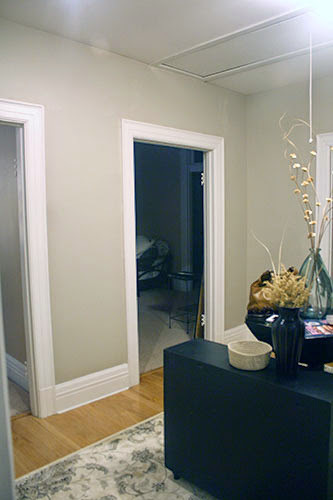 There are several spots like that throughout the apartment – leaning anything against the wall can remove the paint. Boo! At least it’s been so very satisfying to cover up, and I haven’t had a similar problem with my paint job (yet). One rather important thing I noticed while painting the foyer is that, somehow, my sample paint I tried all over the apartment IS A TOTALLY DIFFERENT COLOR. WHOA. What the what! Do you see that?! The sample on the top left is eighty shades lighter than the paint around the trim! Undertones are mostly similar but dang! 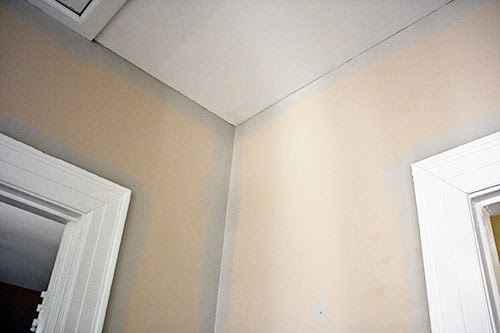 I suspected that when I painted the guest room, but it was hard to be certain that it wasn’t just the light. Now I’m convinced! Fortunately I like the darker shade, but the lighter one would have been just fine too. So strange, considering that’s supposed to be the exact same color (according to the formula on the lids) and paint finish. 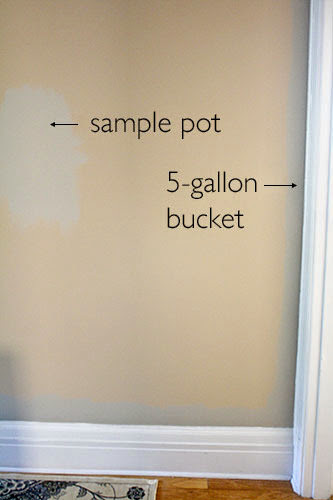 The paint was purchased at the same paint counter, too, so either their machine is shoddy and unreliable, or you really can’t trust Behr paint to give you the same result as a Glidden sample. Holy moly. If I wasn’t over halfway finished (and so desperately ready to cover the pinky-beige in this rental) I might have gone back to the counter to at least ask why this happened, if not asked for replacement paint! And absolutely gorgeous in the daytime! Look how nicely it plays with the rest of my neutrals! Seriously. I die. I loved Worldly Gray (or, whatever shade this questionably color-matched paint really is) in the guest room/future nursery, but it gets a ton of natural light. If anything, this shade is prettier in a room without a lot of natural light. How does that even work?! Worldly Gray, you are my hero. Kiss kiss. Wow it looks fantastic!! I know you'll be able to knock out the last two rooms in no time at all. The end is in sight. When you think you can't, just look around and see how incredibly great it looks! You got this! 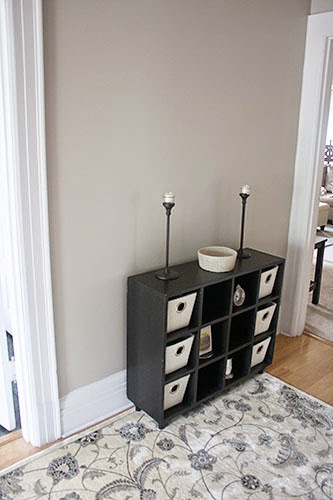 That final picture with the Worldly Gray next to your neutral rug is fantastic! If you were ever doubting your decision, which I know you aren't, that one tiny section should clear up any questions. Also, a paint mixer once told me that sample cans tend to not have the right balance of tones and can end up being a little off, especially if you are trying to color match. It has to do with trying to get tiny partial drops of each tone. Not sure how much truth there is to that, but maybe that's why the two are so different. @Rachel, that does make sense! Honestly, I didn't even need/want a sample pot because I've become good at knowing my grays... but my landlady got it for me and wanted me to try it before I committed to the color (she's a bit of a mother hen sometimes). I figured I'd just use it for touch-ups when we move out, but I might as well toss it! I've noticed small differences between sample vs. large cans before, but never anything like this. Now that you've told me that, I may never bother with a sample can again. 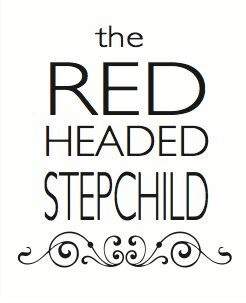 Congrats on gestating another whole human being! Let the good times begin!! I'm also impressed that you know your grays and undertones with samples. I'm still learning, and just stick with different paints on the same chip to be safe!